and keep choosing it every day. We are two weeks into my husbands grad school program. And we're still adjusting. He's adjusting to being disciplined, spending every spare minute studying, having less time with our son, and going to bed 2-3 hours after I've turned out the lights. I'm adjusting to a lot of solo parenting. I had long days alone when my husband worked a 40-50 hour work week. But I was used to talking to him a lot during the day. And I could look forward to the evenings spent together, enjoying a leisurely dinner, putting our son to bed, and then hanging out after he was asleep. We've converted part of our walk-in closet into a study space for Alex and when he's home he's mostly up there memorizing every bone, muscle, nerve and artery in the human body. And I try to keep Johnny out of the way, and resist the temptation to call on him for diaper changes. I try to stave off monotony with play dates, errands, and chores around the house. Johnny loves doing chores. We all have dinner together where we talk about what we've been up to that day. Then Alex hits the books again and I do bath time and bedtime alone. And when Johnny's asleep I hang out by myself. I will be perfectly honest and say that it's been hard and lonely. And I get a little worried about two and a half years of this. But I have no doubt that this is what Alex is supposed to be doing, and that supporting him is what I'm supposed to be doing. I never thought for a moment when I said yes to marriage and yes to life that it would be easy. And today is not easy. But we are choosing joy. We have to. There is joy in going to bed with tired, aching feet, because it means I've had a day full of activity. There is joy in playing with the same toys over and over and over again, and watching my child laugh and develop through it. There is joy in the time spent in the kitchen over the stove, because it means I am meeting the physical needs of my family. There is joy in letting the to-do lists fall by the wayside, because nothing could be more important than spending my husband's study break watching him sprawled out on the floor with my son in a family wrestling match. And there is joy in knowing we are where God has placed us, and we are seeking His will. Everyday is hard. Every day is full. I will make sure that every day is full of joy. linking up wtih Kelly at This Ain't The Lyceum for some quick takes. We are reaching waaay back to get you all caught up and to give me the opportunity to post some iPhone photos that you otherwise would never get to see. On Mother's Day we took the train downtown to the St. Paul Farmer's Market where Johnny picked out some hanging baskets for me. Going to the farmer's market on Mother's Day has become our thing. And getting me hanging baskets for my Mother's Day gift has also become our thing. Every year I try really hard to keep them alive the whole summer and usually make it until August before they are totally dried up, but this year is going to be different. We had a blast riding the train. Shamefully it was our first time, even though it's been running for over a year and there is a stop 3 blocks from our house. We didn't even have to pay because I had two free passes that were included with my jury duty summons. Jury duty, the gift that keeps on giving. We've started potty training! Well, only a little. If you've ever come to our house or spent any time with us at all you will know that Johnny poops A LOT. This is because of all the intestinal surgeries he has had. No joke, it's about 10 poops a day around here. So we just figured we should get a potty chair and stick him on there a few times a day to try to reduce to number of diaper changes we have to do. It's been great. The first day he went 6 times in the potty chair. He really likes to sit there and then peek in to see if anything has come out yet. TMI? Ok, sorry. Also on Mother's Day, we became godparents again! Johnny's godparents, Ian and Jacqui, welcomed little bundle Archie about a month ago, and we were named his godparents. It's just a big circle of godparents around here. Johnny really doesn't like it when I hold other babies. He has no idea what's coming. My husband is unemployed! It's ok though, we knew it was happening. Actually, it was intentional. He's going back to school to become a Physician Assistant. His program starts June 1 and he's taking a couple weeks of vacation before he starts. And it has been SO NICE to have him home. I just have to remind myself not to get too used to it. This is what staycation looks like. Actually we have a to-do list the size of Texas that we've been trying to get through. But there's been plenty of lazy time too. In related news, Alex started a blog! Yay! Welcome to my world, sweetie! He will be blogging about what's it's like to be in PA school and will also be doing lots a baking projects now that we no longer have the unlimited access to bread that a bakery manager's family is accustomed to. Find him over at The Baking PA.
Last week Johnny and I went to visit a friend in the hospital. It's the same hospital we go to for speech therapy, and the same hospital where Johnny was in the NICU. While walking to see our friend we passed right by the entrance to the NICU, the very doors we walked in and out of for 9 days while our baby was there. I haven't been back since we left and at first I was feeling kind of nostalgic, but that quickly turned into painful memories and the welling up of eyes. I don't think about it as much as I used to, but I know I will never forget what it was like to have our baby in the NICU. Speaking of Johnny, he is turning into quite the budding photographer. He takes even more iPhone photos than I do. In fact, hardly a day passes when I don't find something like this on my camera roll. Here is one of his most recent selfies. He's still got the cheeks. And because there is nowhere else to fit it in, here's a picture of Johnny wearing Alex's socks. He loves to wear Alex's socks. I guess they're comfortable? the season of singing has come. The seasons change whether we want them to or not. Sometimes we're longing for change and it feels like it will never come. Other times life is so busy a new season is upon us and we never even noticed the old one depart. There is so much change going on in our little family right now. I go back and forth between yearning for the next step and feeling that bittersweet tug of wanting everything to stay the same. My boy is getting so big. He sleeps in his own bed. He feeds himself. He explores the world around him. He doesn't need me for sustenance or security like he used to. Our days are crazy, but routine and predictability have brought a peacefulness. I can feel us making room in our lives for a change, a new little family member. I'm really enjoying this time with Johnny, and cherishing the calm before the inevitable chaos that having two will bring. My teaching year has come to an end. My students and I gave a recital last weekend, the music of which is still running through my head. I said good bye to some students, others I will see again in the fall. Now I can exhale and enjoy a slower paced summer. I'm downsizing my studio in preparation for the new baby. It's been harder and harder to switch back and forth between my mommy brain and my working brain. I'm feeling more and more that this is the season of my life that should be devoted to motherhood, and I'm ok with letting other things go, for now. Our biggest change happened last week. Friday was Alex's last day of work at a company he has been with for 13 years. A very long and significant season of his life is over. He's leaving the job we met at, the job we started dating at. This job saw us through the beginning of our marriage, the purchase of our house and the birth of our son. He's leaving security and familiarity and starting something totally new. This is a new season and a new adventure; one that we're embarking on together. We went to visit Alex on his last day. This change was no surprise. In fact it has been three years in the making. Prerequisites, night classes, weekends spent studying, the GRE, grad school applications and interviews, hours and days and months of preparation have all gone into this. It felt like we would be in the season of preparing forever. But now it's over and the next season is here. Two weeks of staycation and then Alex will be a full time PA student. We have no idea what that will look like. But I know it's what's supposed to happen. These flowers arrived on our porch Saturday, a token of thanks from Alex's boss. linking up with Kelly at This Ain't The Lyceum - NEW HOME of quick takes! because I need to get you all caught up on the happenings over here. Alex got into PA School! For the last two years Alex has been taking prerequisites to apply for physician assistant programs. His undergrad was in Spanish and linguistics, so nothing transferred and he's basically been working on a whole other bachelor's degree. So for the the last two years he has been working a demanding full time job, taking classes, doing home work almost every night, whilst being a husband to my pregnant and then postpartum self and a father to our little boy. It's been a little crazy. This summer Alex submitted his applications to the three PA programs in Minnesota. He interviewed at two and found out just a few weeks ago that he was excepted to both! He has been working so hard and we've both sacrificed a lot in our relationship and home life with trust that this is what he is supposed to be doing. It's so good to get this confirmation and it's such a relief to know that the next three years of our life is all set. Of course I knew that he'd get in, but it's still a relief to know for sure! It's advent! How is your advent going? Ours is going....not bad, not great. It's just going, I guess. We got the tree set up, Johnny hasn't tried to pull it down yet, so that's a win. We've got the advent wreath out, but we didn't have it out in time for dinner last Sunday, so we actually haven't lit it yet. I've been using my Blessed is She advent journal and it has been really nice to change up my prayer routine a little bit with it. I've read a few good blog posts about things to do during advent, and advent traditions, and this great post about phones and daily prayer that have given me some ideas for things I'd like to try. My own personal goal for advent has been to just do more listening and waiting for the Lord, even if I don't hear anything, even it feels like He's not near me. I'm trying to quiet my thoughts, my anxieties, my temper, my heart, and really wait for Him. Come, Lord Jesus, even now, even to me. Alex and I got out for a much needed date yesterday. I've always liked going on dates with my husband but I've never really felt like we needed dates until we had Johnny. (People who have had children longer than I have are rolling their eyes and saying "ya think?") Having a baby, or rather a toddler, is so consuming. When we are home together literally every second of time and ounce of energy is spent keeping Mr. Seek-and-Destroy out of trouble. Today he dumped an entire box of Cheese-Itz out onto the the floor, I dropped one of his poops on the bathroom floor, he pulled beer bottles out of the recycling bin, and emptied sock draws, kitchen cabinets, book shelves, and laundry baskets left and right. Basically everything we own is always on the floor. He does a lot of sweet things too, he plays peek-a-boo, and he spins in circles til he's dizzy, he just started giving kisses and I love it! But even when he's being sweet our thoughts are completely on him and Alex and I forget to take care of each other. So getting out and spending a couple hours focused on us was so needed. I had a couple hours to my self this morning. Unfortunately they were spent at the dentist. I mean no disrespect to dentists, and I'm very grateful for good oral health, but going to the dentist is just so soul crushing. We don't have dental insurance, so I go pay a whole bunch of money to have someone scrape my gums and blast my teeth with freezing cold water for 40 minutes all the while telling me that I shouldn't drink red wine and coffee because my teeth are becoming stained. Um....I'm sorry, but there is no amount of stained teeth that could keep me from my red wine and coffee. It is simply not an option at this stage in life. Quit making me feel guilty for keeping my sanity at a decent level! Anyway, I had a cavity, so I have to go back in January. Last weekend we celebrated my Granddad's 90th birthday. My Granddad was raised on a Minnesota farm, he was a tail gunner in WWII. He got married, had five kids, and owned a business. I've known him as the man who taught us to fish, who smokes a pipe, who likes to eat venison, and loves to tell a good story. Now he's 90. He has 11 grandchildren and 13 great-grandchildren. He and my Grandma are still in their own house. I've been going their as long as I can remember. This last year my little brother started mowing the lawn for him, but he still takes a walk every day and plants a garden every summer. At 90 years old he has 11 grandchildren and 13 great-grandchildren. Family has always been important and it still is. My grandparents still come to all my concerts and my student recitals. They come hear us sing at church. They come to Sunday night dinners. They still call me every year on my birthday. When I look at my Granddad I see a life well lived and a legacy that neither moth or rust can destroy. I see family, and I see love. The Whole Shepperd Clan. This was seriously the best photo I got. You try getting 40 people to smile all together. 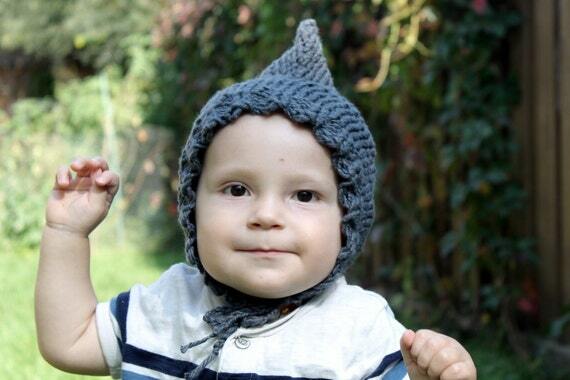 Lastly, Nell of Whole Parenting, who is one of the most generous and gracious bloggers I know, was so kind as to interview me about my Etsy shoppe and is giving away one of my baby hats. So head on over there and enter. And I hope you all have a great weekend!